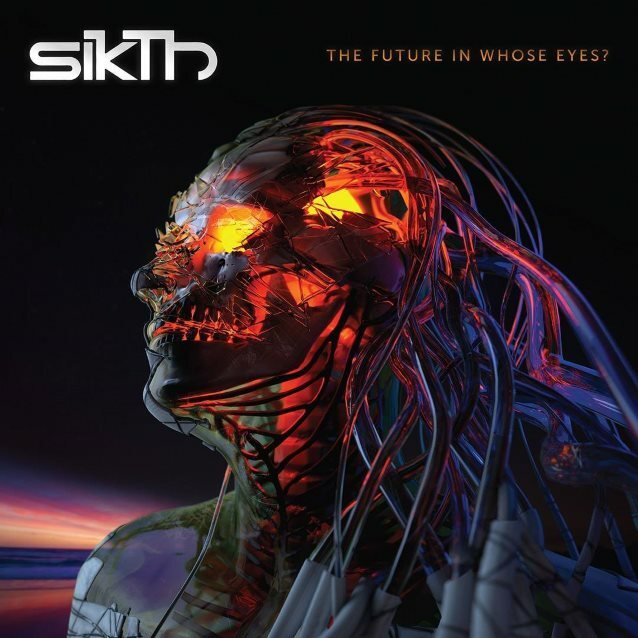 “The Future in Whose Eyes?” will mildly satisfy longtime SikTh fans, briefly entertain prog-tinged metalcore enthusiasts and appeal to essentially nobody else. It’s not the early 2000s anymore and simply layering tech riffs and several vocal styles over metalcore no longer cuts it in the innovation department. Though SikTh shouldn’t be criticized for staying true to their core sound, there’s no doubt that the English sextet’s brand of eccentric metal has not aged well. The first reason for this is that “The Future in Whose Eyes?” is a thinner version of SikTh’s prior releases that takes two steps back without moving an inch forward. Comparisons aside, the second issue is that the record simply isn’t particularly good. This is less the logical follow-up to “Death of a Dead Day” and more of a rough cut or shoddy knockoff. The expected SikTh components are duly present, from the high-pitched screams interspersed with frequent clean poppy choruses to the djent riffing and occasional chugging, but there’s precious little energy behind any of it. Tracks such as “Weavers of Woe” and “Ride the Illusion” are inoffensive enough, albeit practically identical, but there’s nothing to fully entice the listener, much less invite repeated listens. When the record does eventually build momentum, it’s quickly killed by the infuriating six minutes of interludes needlessly sprinkled throughout the record. Sample 30 seconds of any particular song and you’ve pretty much heard the entire track. Frequent vocal and tonal shifts should make this a nonissue, but scant creativity and a dearth of genuinely gripping content cause tracks to drag far longer than their manageable runtimes would suggest. As a progressive metal record, “The Future in Whose Eyes?” is a complete failure: Technical riffing is abound and screams constantly transition into cleans and back, but everything seems to exist merely to fulfill a checklist as opposed to producing actual enticing music. SikTh’s latest is a case of style versus substance, and there’s precious little of the latter. It’s a shame, because SikTh has done this much better before and there’s still clear potential behind the mounds of directionless technicality. The finest of SikTh’s past discography, such as the crazed vocals on “Bland Street Bloom,” “Flogging the Horses'” wild intro and the soaring cleans of “Where Do We Fall?” still hold up more than a decade later. Said songs succeeded because their technicality supplemented the music instead of strangling it. Unsurprisingly, “The Future in Whose Eyes?” is strongest when the mania makes room for actual coherent harmonies. Although SikTh’s latest is noticeably lighter than its earlier albums, much of the melody and excellent singing is muddled by the record’s general lack of focus. “The Aura” and “Golden Cufflinks” are the exception to the rule, featuring extended clean sections and remarkable choruses that make for some of the record’s most satisfying material. As for the heavier pieces, “Riddles of Humanity” has the dubious honor of being the only track that gets the prog metalcore concept right. Guitars shred with dazzling precision, while the screams and cleans complement one another while standing out on their own merit. That said, the lasting appeal of such songs is nonetheless dubious at best. They’re certainly enjoyable, but lack the mind-blowing highs that made SikTh a celebrated name in the first place. Everywhere else, “The Future in Whose Eyes” is the metalcore equivalent of white noise and three above-average standouts don’t excuse over 30 minutes of mediocrity.